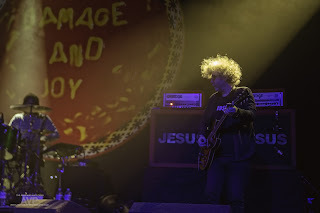 I am going to see the Jesus and Mary Chain again on Saturday night and I am really looking forward to it which is quite ironic as I was contemptuous of the idea of going to see them when they got back together for the Psychocandy anniversary shows spouting forth that the only reason to re-form was if you had something new to offer like an album. I'm not saying that I have any sway here but low and behold last year they released a new album. Coincidence? Well I will let you decide. Even then I wasn't overly keen and in fact swithered for quite a while as to even ordering the album but I did eventually. But it took the generosity of someone else to push me into going to see them. As many will attest to the Vinyl Villain is one of the nicest, most genuine men you will ever meet, I'm not saying he is perfect, he does have that Smiths fanboy fixation that quite a few men of his age are similarly afflicted by but apart from that he's a good sort. Anyway, he offered me his ticket back in March for the Friday night at the Barras for the 6Music festival headlined by the Mary Chain which I readily accepted. I was still rather nervous wondering if they would be a sad pastiche of themselves or would it be possible to get near the levels of greatness that they reached back in the mid to late 80s. I needn't have worried they were excellent with the new material sounding as good as the stuff from when they were at their peak . Jim Reid even looked as if he was enjoying himself, still won't win any awards for audience engagement but at least he tried. venue, atmosphere and rose tinted specs back in March. Here are a couple of tracks from that show. They played in my least favourite Norwich venue a couple of evenings back, with Brix & the Extricated in support. I've never been a massive JAMC fan to be honest and this coupled with the location persuaded me not to go, even though I'm very keen to catch Brix's new combo. The reviews are out and apparently it was a barnstorming night from both acts - I really should've made the effort. I look forward to reading more evidence of my foolishness in your own review next week. Have a great night. I guess I'm one of those Smiths fanboys of a certain age, but that new Morrissey song is just awful. As the Swede confirms, the press has really gone for JAMC's new album and the shows that have gone along with it. Man, they have been really getting around too. They were in my neck of the woods in the spring, and there is already another date on the calendar. That's a long way from home for the fellas. Enjoy the show! I don't want to hear the new Moz song. 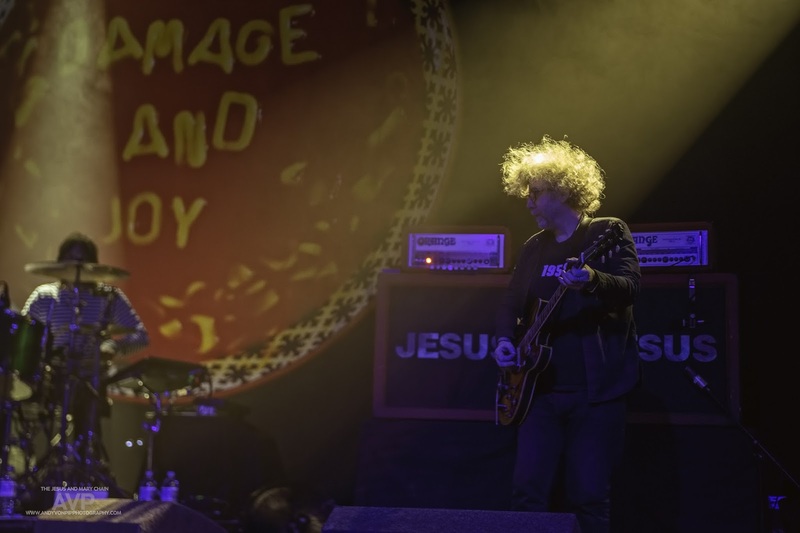 The 2 times I've seen the Mary Chain recently they've been on fire. Enjoy it. I still count JAMC's first show in NYC as one of the biggest musical let downs I experienced in the 80's...Cocteau Twins and Nick Cave, both, seperately, at Danceteria are the shows that top the Reid Brothers NYC debut. But I didn't give up as Darklands is an album that still resonates with me to this day and when they returned they proved themselves to be utterly amazing. As for that Moz song, it is, uh, harmless. Moz by the numbers with a slightly pitched vocal production.